Official The Simpsons LEGO Is Coming. Here's A Look. It may have taken decades longer than it probably should have, but official Simpsons LEGO is on the way. And while the Danish toy giant has yet to release its own promotional images of the line, which is due in early 2014, pics of some minifigs have begun leaking out a little early. 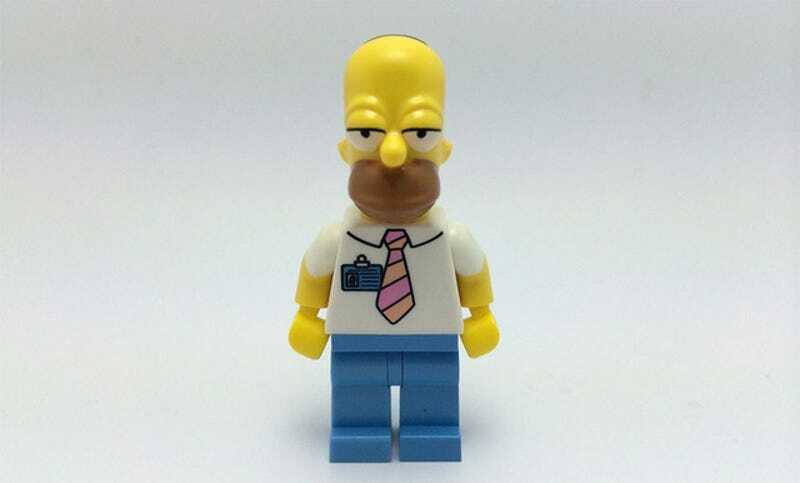 Nice shots of the Homer figure have turned up courtesy of an eBay listing, while there are also rougher pics of a Marge and Lisa minifig (which feature placeholder torsos and limbs).